At Babin’s Auto Glass, we offer a variety of services and products for both commercial and privately owned vehicles. 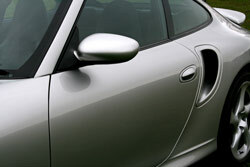 We offer state of the art windshield repair, using the best resins on the market. Most repairs are complete within 15 minutes, and no appointment is necessary. Many insurance companies waive your comprehensive deductible for a rock repair, so there is no cost to you. Our office staff will gladly file your claim! An automobile’s windshield plays a very significant role in the safety of your vehicle. 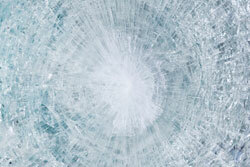 If your windshield is cracked, it’s strength is considered “compromised” and unsafe in the event of an accident. Proper windshield installation is critical for the vehicle’s occupants’ safety. Only the highest quality glass and installation materials are used for this reason. We prefer supervised, in-shop installations to guarantee our customer’s satisfaction. We require your vehicle for 2 to 3 hours to ensure safety standards. Only the highest quality glass, urethanes, and primers are used in your new replacement. If your vehicle requires rust treatment, our technicians have the equipment necessary to remove the rust, ensuring proper glass adhesion. Using quality materials helps us to guarantee our customer’s satisfaction and safety.